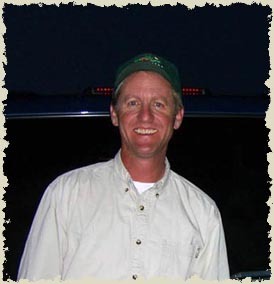 Kevin Sanders, nationally known naturalist and guide owns Trailside Productions along with Bearman’s Yellowstone Outdoor Adventures, the sole enterprise dedicated to providing educational programs, guided tours, slide shows and articles about grizzlies, wolves and other biological functions in Yellowstone. With the focus on preservation through education. Officially licensed with the park service to conduct hiking and photography tours within Yellowstone Park. While attending Montana State University, Kevin worked on the Gallatin Grizzly Project conducting grizzly bear habitat transects, reconnaissance, habitat sampling, habitat selection observations and non-reward camera station field work helping research the effects of forest clearcutting and use of forest service roads on grizzly bear behaviour, habitat use, and demography. In the late 90’s, Kevin began designing a residential bear proof trash can using the Grizzly Bear Discovery Center in West Yellowstone as the testing center. A highly bear resistant can was finally developed with Bear Proof Inc. which was tested in early May, 2002 and passed all tests. Kevin authored a self published hiking guide as well as a bear safety guide to the Gallatin and Beaverhead National Forests. For 13 straight years he wrote a weekly column for the “Lone Peak Lookout” at which point he said ” I woke up one morning and felt like I had said everything I needed to say” and has only contributed rarely since. He is an accomplished wildlife/scenic photographer and many of his shots have appeared in print throughout the years. He is also a prior faculty member for the National Wilderness and Travel Medicine Association. In 1992, while working with Busch Productions during filming of “Great Bears of North America” and “Great Bears of Yellowstone” Kevin photographed the first wolf in Yellowstone seen since they were removed in the early 1920’s. From 1992 until 2004 Kevin taught continuing education courses including: “Grizzly Bear Biology and Behavior” and “Wolf Biology and Physiology” through the University of Montana at Dillon, and occasionally through Rocky Mountain College. Over the years Kevin has also spent much of his time educating elementary school children about the wonders of Yellowstone. He resides along the banks of the Gallatin River near Big Sky, Montana where he spends an average of 325 days a year in Yellowstone Park guiding, teaching, photographing and observing wildlife and the unique geological features of the park.